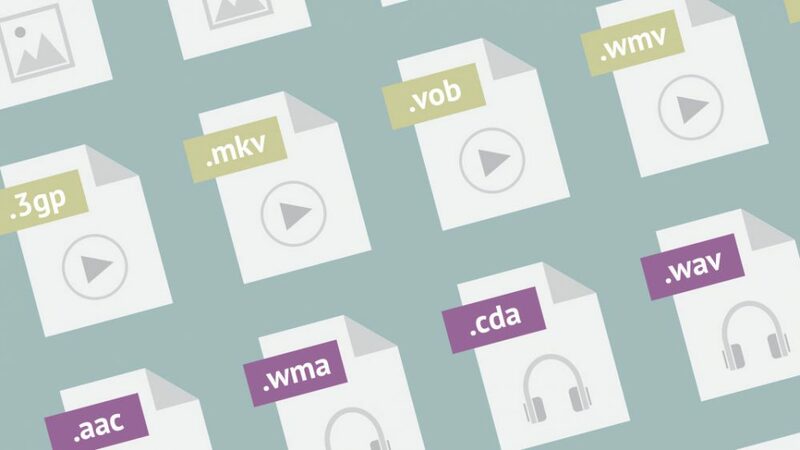 There are hundreds of file types, but here are several that designers and printers work with most often, as well as some helpful terms. Select a button to learn about that file type. Dots (squares) of various illuminated colors that compose an image on display screens. Dots—or pixels—per-inch determine the resolution of an image by how many pixels are in a square inch. “Dots” refer to specks of ink that printers produce. Pixels are digital measurements for on-screen viewing. Essentially, resolution refers to the clarity of an image. 300dpi is considered print-quality resolution, needed for printing images that require a higher quality, such as an advertisement or professional photo. 72ppi is considered screen-quality resolution, which is used primarily for images on the Web. 72dpi is not recommended for printing. Description: Standard image format that works well for either print or Web, though, not ideal for saving high-quality image files and cannot maintain transparency. Background must either be colored or defaults to white. Description: Used for saving and sending files in a cross-platform format that can be viewed on multiple computers. Great for sending high-quality print files and vector art, such as logos. Can also maintain a transparency. Description: Used for sending and editing vector art between multiple programs. Can also maintain a transparency. Description: Used to compress large files and folders for easier sending. To open, file must be “unzipped” by right-clicking on the file. Description: Used for saving and printing high-quality image files. Allows layering of different content and can also maintain a transparency. Description: Used for saving smaller image files with a limited amount of colors for faster loading on the Web. Can also maintain a limited transparency. Animated GIFs contain many layers. The file loops through each layer creating a motioned effect that appears like a video, but much smaller in size. Description: Similar to a GIF, it’s used for saving image files, but allows for higher color output, like a JPG. Can also maintain a transparency. Intended for small or large images on the Web. Description: Used for creating and editing vector art in Adobe Illustrator. Also allows exporting graphics to EPS, PDF and SVG file formats. Description: Used for creating and editing page layouts in Adobe InDesign. Contains formatting, content, styles, and linked files. Used for desktop publishing to create books, magazines, newspapers, flyers, etc. Description: Used for creating and editing images in Adobe Photoshop. Allows layering of different content and can export graphics to raster images such as JPG, TIF and PNG file formats. Description: Used for graphics needing to be scaled at any size on the Web. Particularly ideal for icons as they maintain perfect quality at rather small file sizes. Any vector-editing program, such as Adobe Illustrator can open and create these files. They can also be manipulated to produce certain graphic animations. Description: This file is the basis of a web page. Web browsers read the “language” contained in these files and output the information on a screen. Any browser program can open these files. Description: Web designers use these files to create the visual appearance of a web page and ensure that information is displayed correctly. This file language helps define font, size, color, spacing, border and location of HTML information on a web page and is responsible for the “style” of a website.